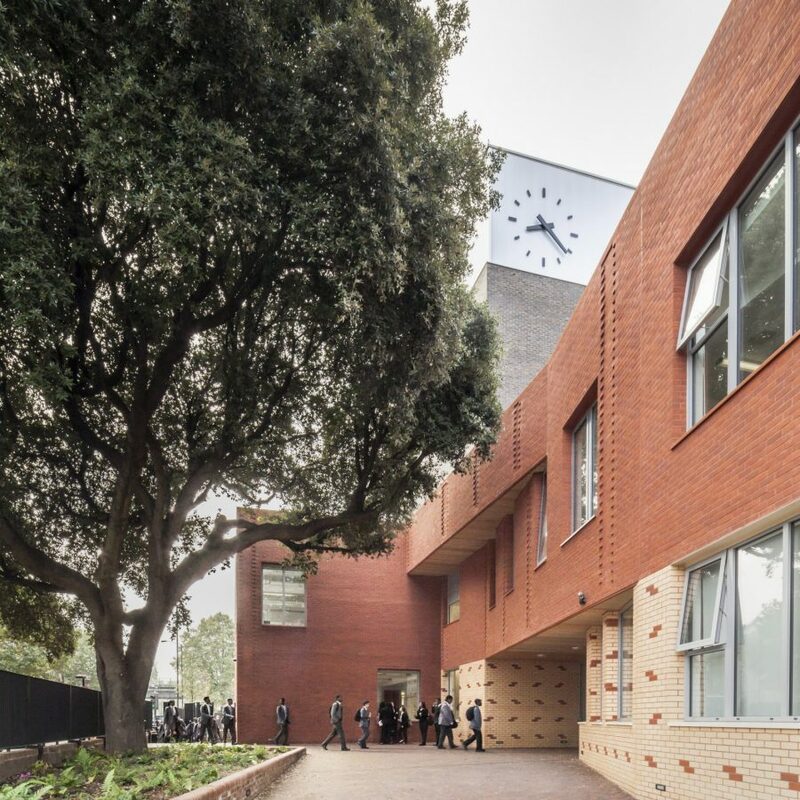 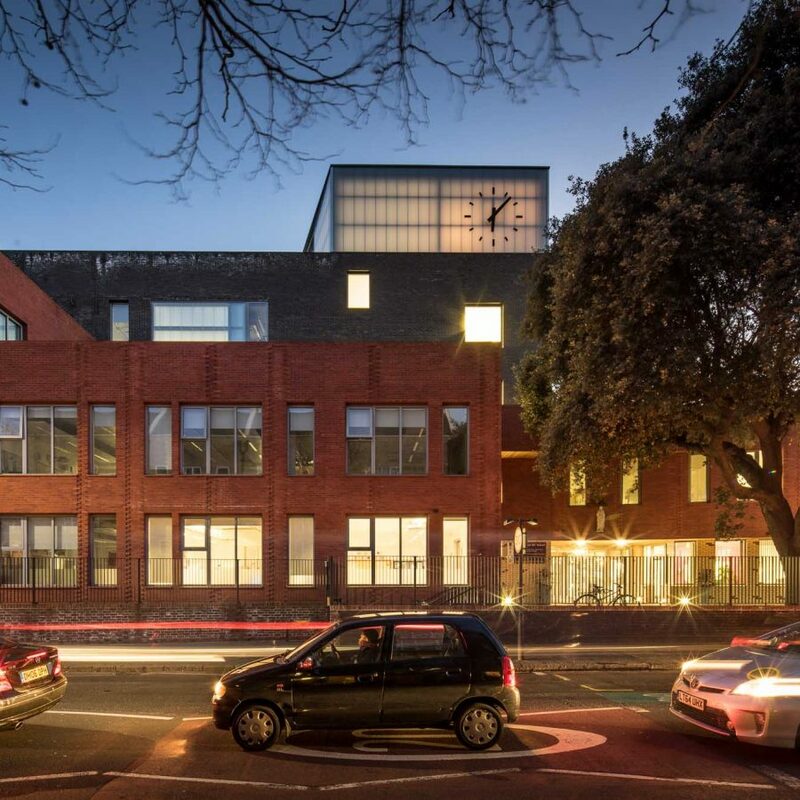 This extension to Sacred Heart Catholic School – a comprehensive school in Camberwell, Southwark – consists of two buildings: one housing the majority of the school’s teaching space and a hall and a dedicated sports block. 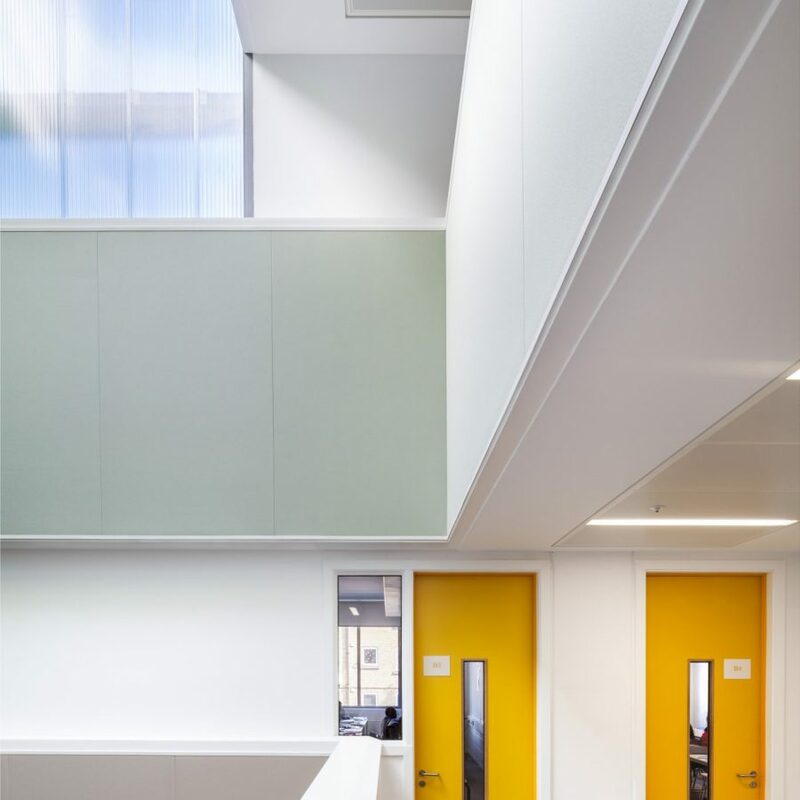 The new buildings enable the school to expand from 661 pupils to 750 in an excellent contemporary learning environment. 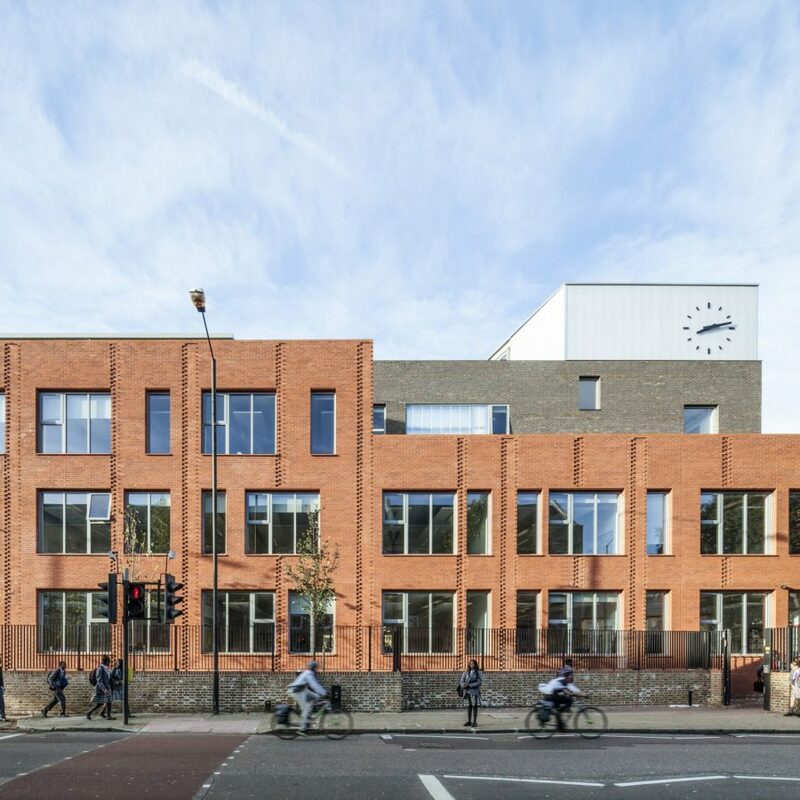 The teaching block adjoins an existing church to form a new square, maximising outdoor space on the tight urban block. 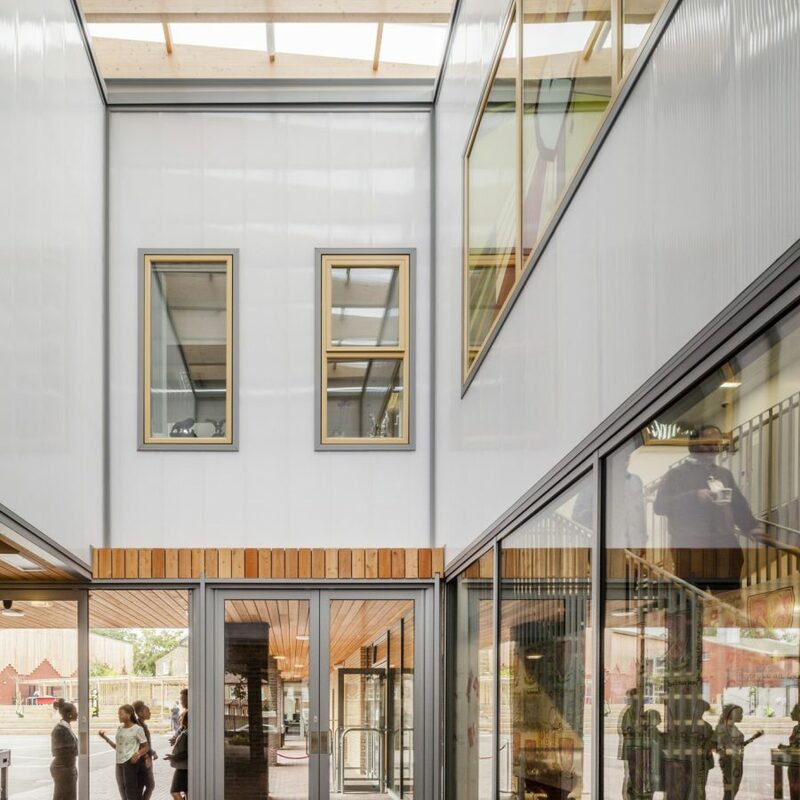 This square’s transparency encourages high levels of interaction between pupils and allows excellent security for staff, creating an area for games, socialising and outdoor learning.